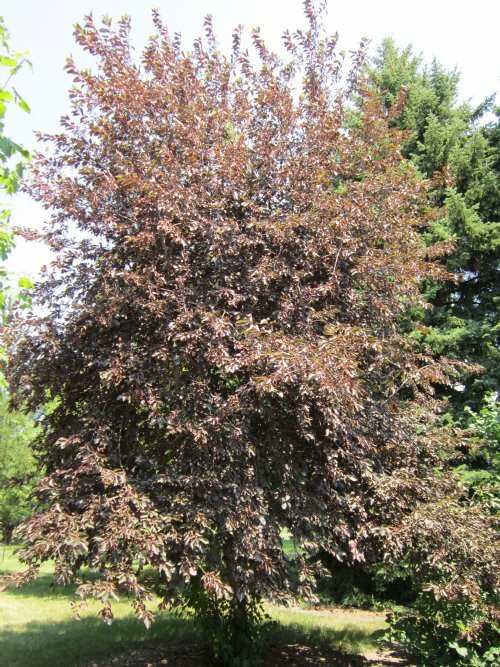 'SCHUBERT' CHOKECHERRY- a large, suckering shrub or small tree native across the United States which may reach a height of 15 feet on favorable sites. Produces abundant small cherries suitable for jelly or wildlife. Leaves emerge green and then change to purplish red in color. 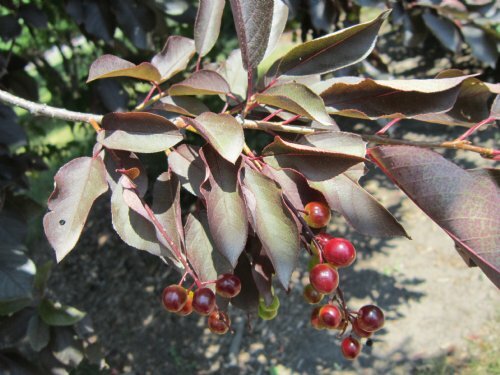 Fruit use the same as common chokecherry.